There are always other needs in these homes. Please ask your church, Sunday school class, prayer circle,civic group, veterans group, or others to pray about sponsoring one of our student houses. Love Of Vietnam Expressed, Inc. Complete pages in this website may be printed or copied and freely redistributed if copied in their entirety and used to promote the ministry of L.O.V.E., Inc. Partial pages/elements of this website may be copied or printed with permission. 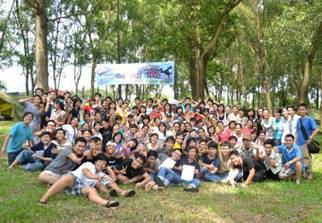 Hundreds of students from families in the countryside come to DaNang City for studying at college or university every year. 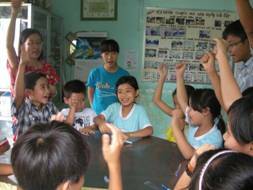 They meet difficulties in housing, daily needs, study and living environment. 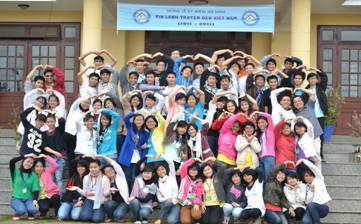 Besides providing homes for poor Christian students, L.O.V.E. also has programs helping the students to mature in faith and character in a Christian family where they are trained and experience real fellowship. We also welcome non-Christian students to come here to study. 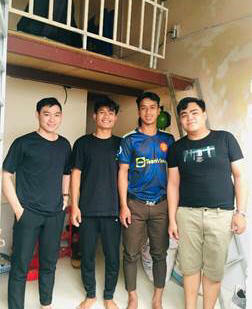 In God’s grace, we hope more student housing will be opened in future. 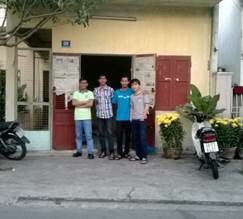 It is among these university students that we believe the future of God’s Church in Vietnam rests, therefore we are committed to help with their housing needs, training and mentoring. Most of these students will be actively involved in several outreaches a year, both in Da Nang and other cities, to reach out to others in the name of Jesus and also to attend summer work/study camps, etc. 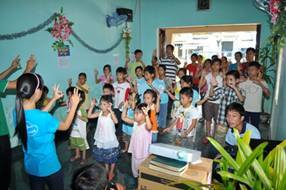 To relieve the financial burden of these students and their families so they can focus on their studies and faith in Christ. Provide a home away from home where these students can mature in faith and character. Provide a sponsor who has the opportunity to encourage these students in their studies and faith. ** Where rent is higher, we may ask the sponsor to voluntarily increase from $80 to $90 or more. This is not required, but allows us to start a reserve fund to help the students with all these activities and for emergencies: repairing computers, furniture, health care and other needs. You can sponsor a house for $80/month. If you'd like more options to help these students, there are always other needs...other ways to help. All Student Homes are currently sponsored...Thank you! If you'd like to sponsor a Student Home, fill out an application here. If this does not cover the total rent, the students equally share the difference. If this amount exceeds the rent, the excess amount is placed into the student house reserve fund. The sponsor can choose to increase the donation to relieve the students' financial burden. The sponsor can also raise money through church, work place, civic clubs, or individuals to meet these needs and to help other students and/or student houses. This money is used to buy fans, beds, desk, provide money for a scholarship for summer faith camps, outreach, etc. To provide for salaries for staff workers and office needs. Some of these students are so poor that we also try to find sponsors to provide a scholarship or sponsorship for individual students. To learn how to support an individual student, click here. We need computers for several of our houses to help students to study the training material, university courses and English better. One desktop is $300 for most houses, but in a house where the students are studying IT, engineering, etc., it may require a better CPU and increase the cost to $500. At present, rent on the houses vary from $50 - $110 per month, which we expect to increase even more. Utilities cost another $6 - $10 monthly. 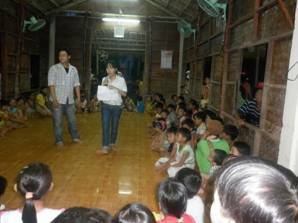 We also try to provide each house with a gas stove, fans, beds, a computer and desk, and other needs. When the sponsor is able to pay extra, the money will go into a reserve fund to be used to provide training, and funds to help them for outreach, “educational trips”, emergencies, and medical needs. 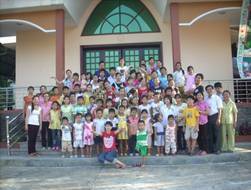 For example, some of you helped to provide scholarships to 55 students to attend summer camps to meet with other students from all over Vietnam to share and learn together; in addition many go to poor communities to conduct children's Bible schools and various outreaches in other communities. These students will be better prepared to serve their country and their Father. Andrew, Timothy, Daniel, Jacob, Jonathan, Martha, Naomi,Mary, Ruth, Elizabeth, Esther and Rachel Houses.